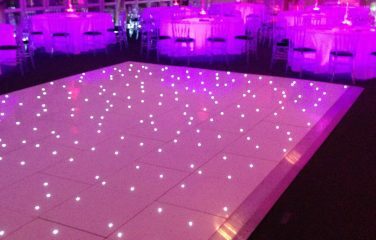 A dance floor that speaks of timeless elegance and beauty. 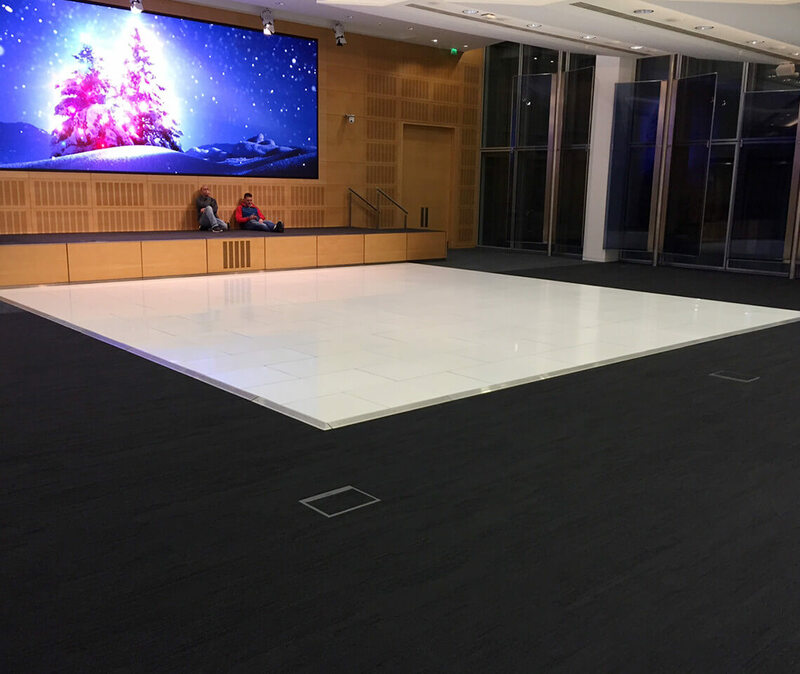 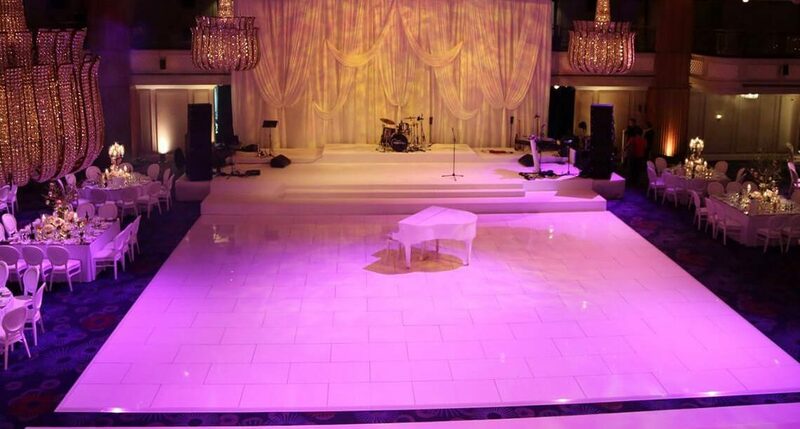 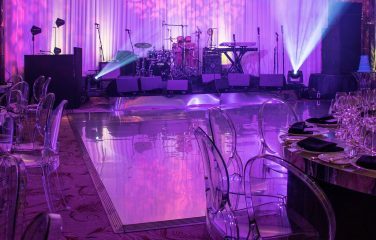 Gloss floors are truly versatile, making them a fail-safe way to create a stunning dance space for your guests. 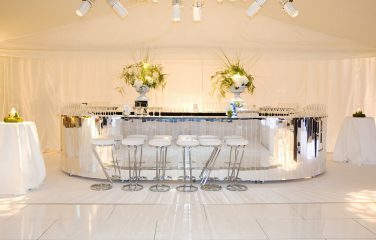 This one is a popular option for weddings, Bar and Bat Mitzvahs and Christmas or Winter Wonderland events. 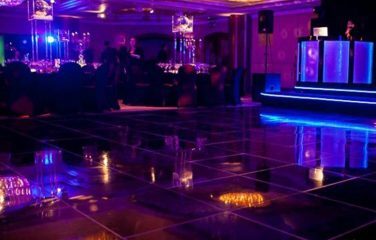 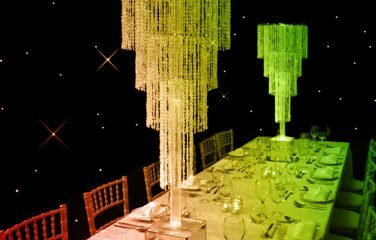 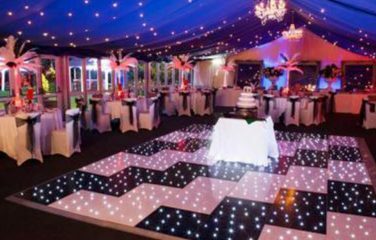 The high-shine gloss panels will naturally reflect the lighting within the room, making them a great choice for when the disco lights come down and your guests are ready to dance! 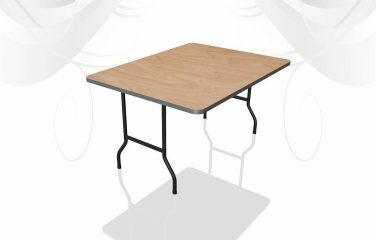 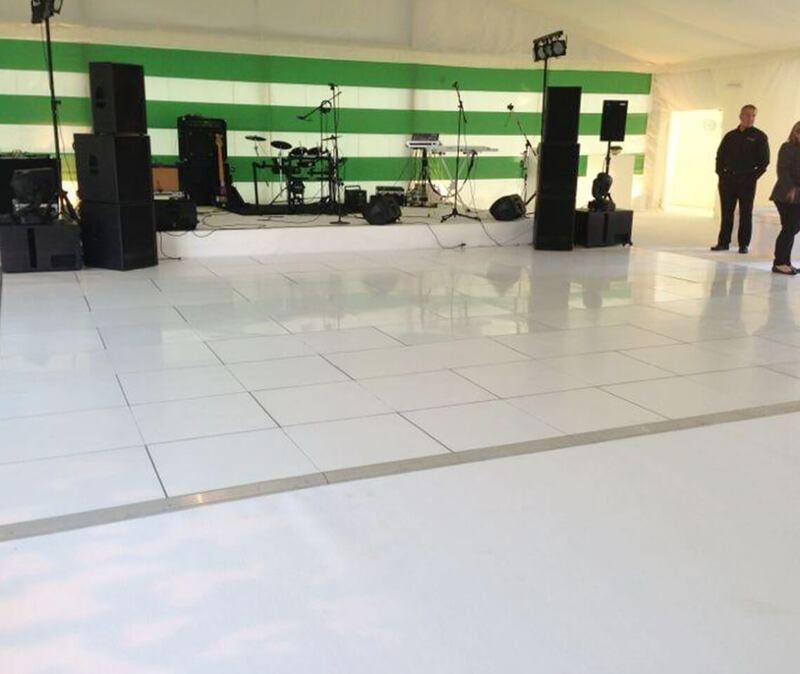 Gloss Dance Floor panels are 4ft x 2ft and 2ft x 2ft, interlocking to create the size you need for your event. 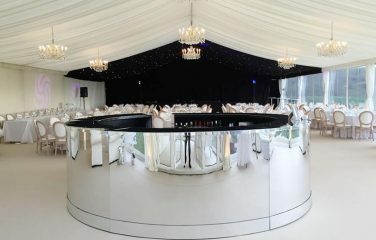 You can choose aluminium, black or white edging for this dance floor. 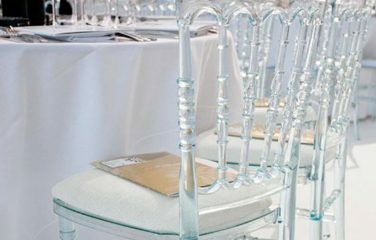 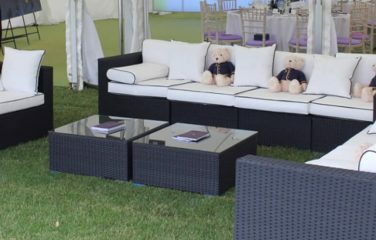 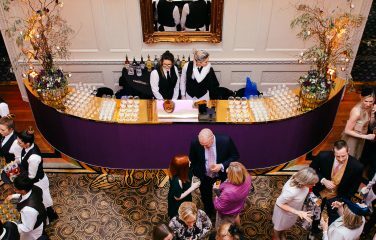 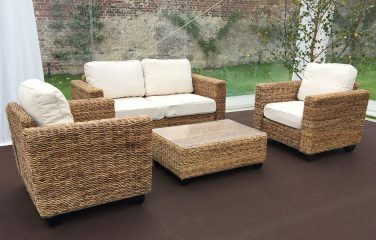 Fancy adding a personal touch to your special event? 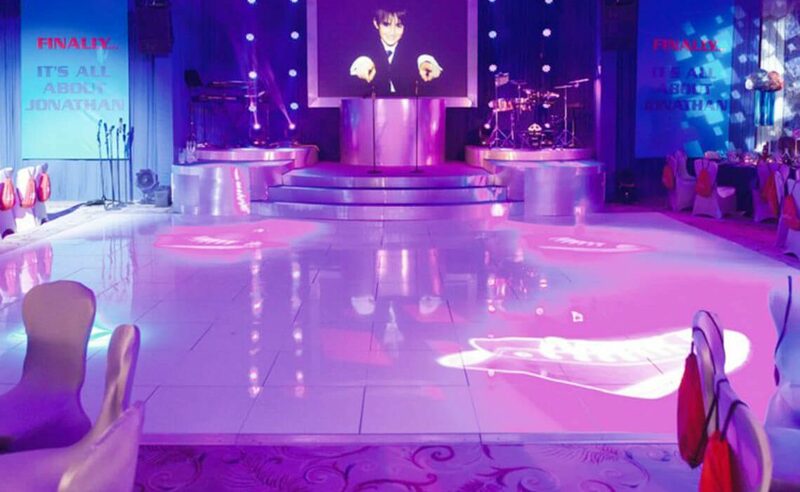 Why not use image projections or custom vinyl prints to add your name or company logo to the dance floor!